Sell your home no matter what the market is like! If you are like most people, your home is the biggest financial asset you have. When it's time for you to sell it, though—especially in a slow market—you need to be careful to avoid the six biggest mistakes that people make when putting their homes on the market. Otherwise, you might not be able to find a buyer. Loren Keim, a top real estate professional with over twenty years of experience, explains these six mistakes and challenges in detail and teaches you how to avoid making them. These six key things to overcome when you sell your home are: Poor Staging—Do you know what potential buyers really think about your home? Incorrect Pricing—Are you overpriced compared to other houses for sale in your area? Improper Marketing—Are you doing enough to find potential buyers? Location-Challenged Properties—Do you own a home near an airport, train tracks, or on a busy street? Functional Obsolesence—Do you know how to fix the problems in your house that are keeping buyers away? No One Is Buying in Your Area—Is your home going to be the one in your area that buyers will fall in love with and have to buy? 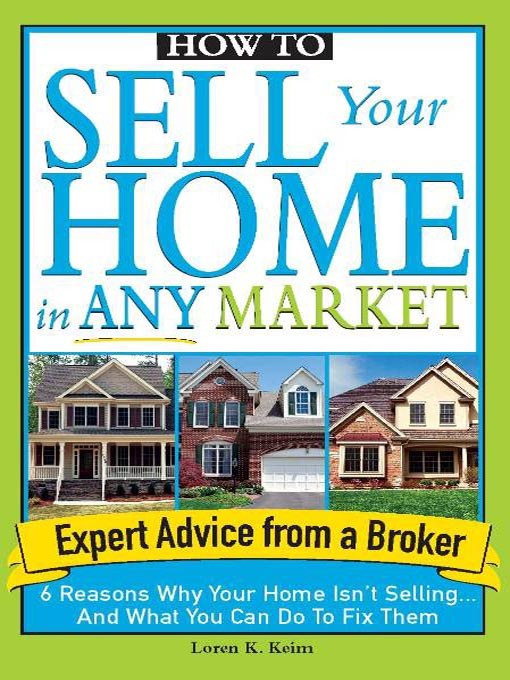 With helpful tips and websites listed throughout the text, this easy-to-read book will help you accomplish the seemingly overwhelming task of selling your home and getting top dollar.